Who doesn’t love a milkshake? These smooth, creamy and sweet beverages are made with milk and ice cream, or sometimes iced milk. They also have flavorings, such as fruit syrups, chocolate sauce, caramel sauce and even peanut butter. 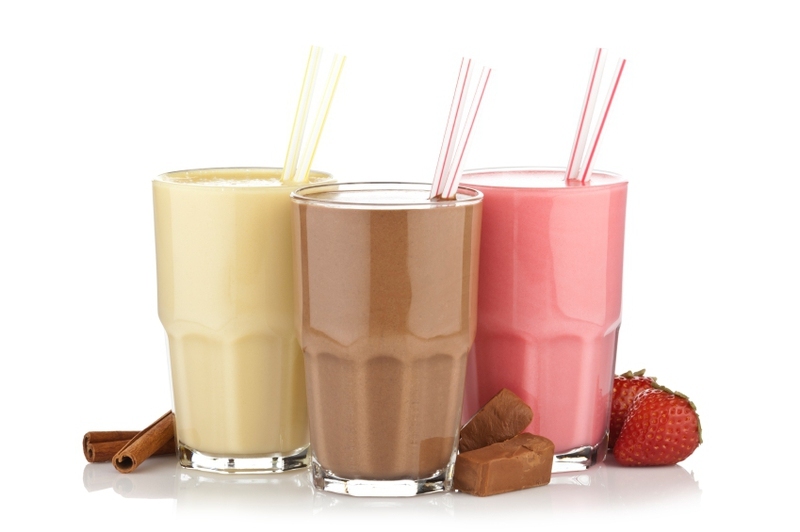 These milkshake recipes are a great way to get started. Mix each of them just until thick, using a good spin in the blender, and serve immediately with a straw or a spoon. This is a fast milkshake recipe. Start with the ice cream and whole milk, then add the strawberries and lemon zest to the top for a pretty presentation. This tastes just like a banana split! This is great milkshake recipe for a dinner party. A rich and decadent classic! This is a delicacy in Latin America. It requires covering the rice and cinnamon sticks with water overnight, then blending the rice and liquid, then pouring it through a sieve. Blend all the rest together and you have a great drink! This is a great drink with the cookie that kids love to dunk. This tastes just like what mom used to make! This is a milkshake that is definitely not for the little ones. Adults only!